Set of 4. These beautiful hubcaps will enhance the Torq Thrust D wheel. Also available with several choices of emblems. 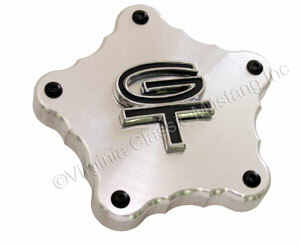 Actual GT emblem is black chrome with silver center. Made by Scott Drake in the U.S.A.